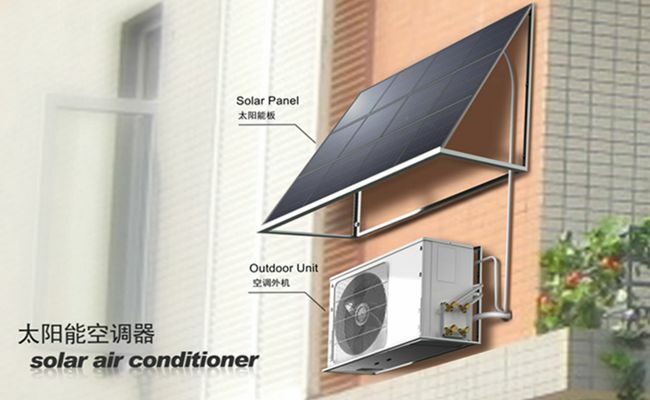 1.The solar air-conditioner is driven by electricity and with solar energy as an auxiliary power. The two kinds of energy work complementally in accordance with principles of fluid dynamics. 1. Energy-saving EER >3.72. 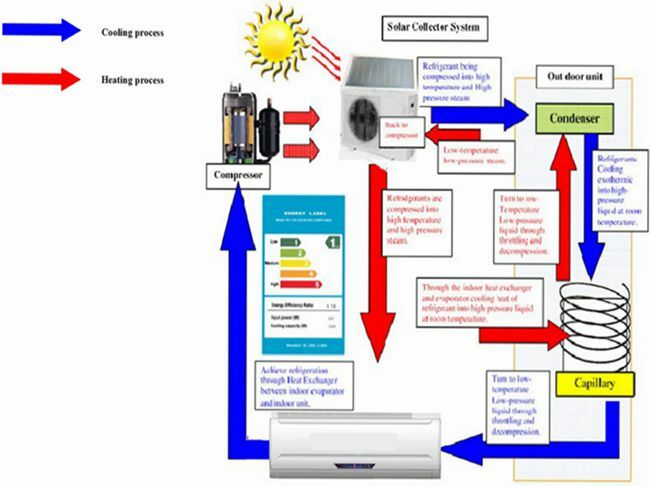 The solar air-conditioner can save 30% and more electricity comparing to traditional ones. 1. The product use 48V DC brushless compressor and fan motor. 2. The compressor, which is of the international famous brand, cools and heats powerfully, operates most smoothly, and runs on low load, service life is extended. 3. The operation is calm and silent. 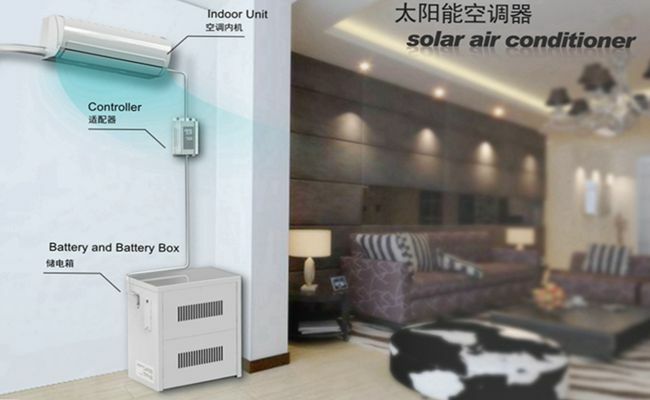 The air conditioner adopts the advanced off-center blades and foam air duct. The high performance low noise blower is adopted. The noise reduces remarkably. 4. It is provided with the microcomputer control technique. The remote control and the control panel can be applied interchangeably. The operation is convenient and simple. The air conditioner is also provided with an automatic detection display system. You will feel beneficial, comfortable, and enjoyable with our FreeCool conditioner. 6. Remote control with big LCD, High efficiency cooling / heating, Double muting technology. Solar lighting is safe and environmentally friendly since they do not require external power supply. There is no wiring required and installation is very easy. It is suitable for use in remote areas and location near water. And they run cost free; you do not have to worry about electricity bills. 2. High energy efficiency: maximum up to SEER36; Even if there is no sunshine, up to SEER 20. 3. Convenient and quick installation, no longer require solar controller, battery and inverter. 4. Using solar power priority, solar power utilization rate more than 95%. 6. Wide voltage design, free combination of solar panel, not limited by installation place. 7. High-qulity components, durable security, effectively improve the efficiency. 9. User-friendly design, extreme convenienc.